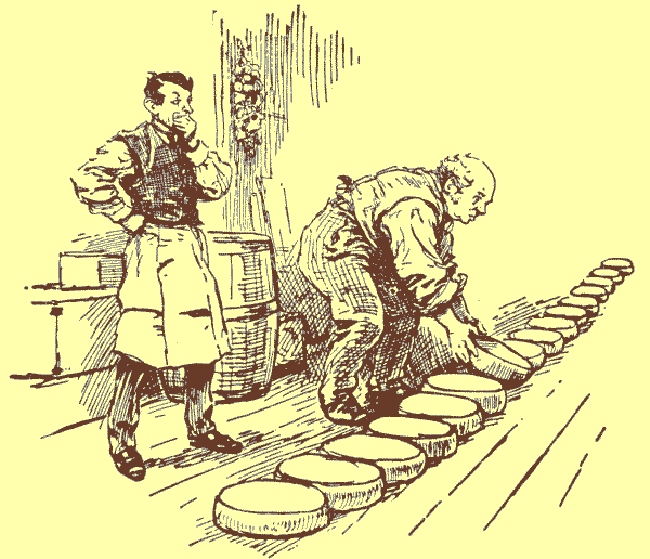 Recently I learned that a coworker has a side-career as a cheesemonger. This was surprising news to me because I forget cheesemongering is still a profession, for one, and also that I had quietly decided that a monger of anything, cheese or otherwise, couldn’t monger as a side-career because the thing they monger must — must! — have that thing they monger dominate their entire life. A cheesemonger could only know cheese and nothing else. He’d smell of cheese and speak only of cheese and when he adjusted his coat, bits of cheese would fall out. He’d live in a cheddar-yellow house and sleep on a bed of ricotta and make love to a mushy cheese wife, Brie. Apparently some of these beliefs don’t accurately represent the private life of a modern-day cheesemonger, but I know better now. But why should warmonger be so much more familiar to me than peacemonger, which Wiktionary asserts is a word? For that, I have no answer — only two guesses. First, because I read news and watch television, I hear people insult each other more often than compliment each other, and it’s more of a headline-maker to accuse someone of being a warmonger than it is to stand up and authoritatively say, “This is a man who traffics in the business of peace and civility!” Second, monger just sounds bad. It calls to mind the marauding Mongol hordes and mungbeans and mongrels and mungo and cruel British children mocking the developmentally disabled and people dropping the first syllable in among in a vain attempt at folksiness Monger strikes the ears like a raw potato, hurled across a kitchen at an incompetent sous-chef. Wiktionary, it should be noted, also suggests that a great variety of mongers exist, from the pleasant (lovemonger), to the unlikely (miracle-monger), to the suspicious (pupil-monger), to the confusing (barbermonger — it means “fop”), to the mean-sounding (cockmonger — barnyard sense but why limit it? ), to the nerdish-sounding (questmonger — someone who encourages petty lawsuits), to the outright un-pretty (pearmonger — is there an uglier word in the English language? ), to the what-I-am (wordmonger). Were we all mongers, maybe we’d think better of the term.